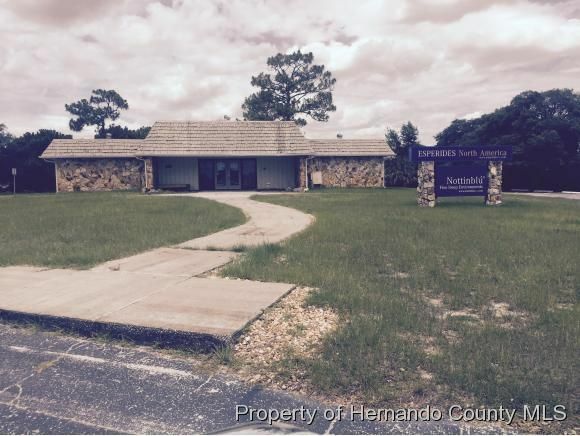 I am interested in 7394 St Andrews Boulevard, Weeki Wachee, FL 34613. 4.69 Acres at the entrance to the Heather on a small lake.Perfect spot for a hotel or an ACLF. Imagine and dream and make wishes come true. Value is in the land. Central water and central sewer is provided byHernando County Utilities Dept. Cut in the median provides easy access to the property. Existing building has large reception area and nice sized conference room. Building has 3 entrances and there is a kitchen area. Vehicle Count 11,000 vpd.Owner is willing to participate in any joint venture that makes financial sense.